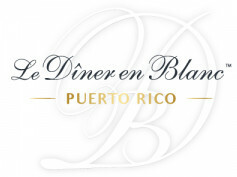 The highly anticipated dining phenomenon Le Dîner en Blanc - Auckland returns on Saturday, the 24th of March 2018 and celebrates its 5th anniversary. The worldwide Dîner en Blanc tradition of secret location, gourmet food, friends, elegance and refinement returns to Auckland this year alongside official Champagne partner, Perrier-Jouët. No Dîner en Blanc would be complete without the most elegant Champagne House. For the second consecutive year Dîner en Blanc’s classy guests will have the chance to taste the delicate and balanced notes of Perrier-Jouët Grand Brut, and Perrier-Jouët Blason Rose, a Champagne that blends freshness and intensity. To experience the epicurean night Champagne and wines must be pre-ordered and are available to purchase from Le Diner en Blanc – Auckland e-store until Monday 19th. After a successful collaboration in 2017, Dry & Tea, the award-winning Blow Dry Bar and Tea House, is also returning to Le Dîner en Blanc – Auckland this year, to make the 5th edition more glamourous than ever! On Saturday 24th March guests will have the opportunity to choose from the bespoke Dry & Tea x Dîner en Blanc Style Menu, available exclusively for the unforgettable night of French flair. Dry & Tea will help our beautiful guests to experience the most luxurious blow dry service and French-inspired hairstyles. Attendees who want to showcase irreproachable look will need to book an appointment with the Dry & Tea team ahead of the unique evening but for those who miss the boat they will have the opportunity to enjoy quick hair-styling fixes and touch-ups at the ‘Dry & Tea Touch-up Bar’ onsite at Dîner en Blanc. To celebrate this first milestone Le Dîner en Blanc – Auckland is also thrilled to announce Maman and Designer Wardrobe as new fashion collaborator, to ensure guests source the ultimate white ensemble. Indeed, after 30 years the tradition remains the same and Le Dîner en Blanc recalls the elegance and glamour of French high society. Maman, the chic Remuera-based concept store, embodies a love for French design and currently stocks sophisticated white clothing that should be on the radar of the glamourous Dîner en Blanc’s attendees. To ensure the guests pre-party preparation is in the hands of experts, style-savvy founders Emma and Kate have selected the most elegant white-only outfits. Le Dîner en Blanc’s dress code expectations and elegance requirement are usually a great excuse to look for a new white ensemble however for those that would rather save space in their closet, Designer Wardrobe is the place to find the perfect elegant clothing. 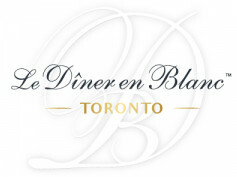 The premium designer marketplace offers a large selection of white outfits to rent from most-loved designer brands and should help Diner en Blanc’s guests to achieve the perfect look. 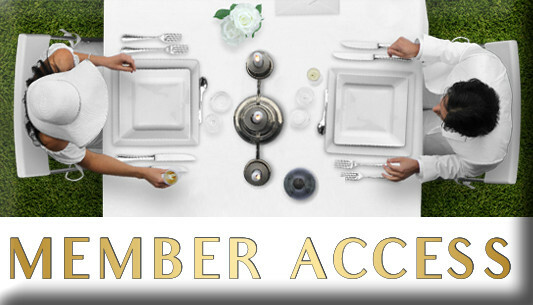 Finally, Le Dîner en Blanc – Auckland will display Ashley & Co products in the restroom of the secret location to offer the most luxurious bathroom experience to the thousand of guests.